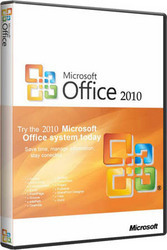 Microsoft Office Standard 2010 gives you powerful ways to do your best work from more places using your PC, phone or web browser. With insightful updates for Microsoft Excel, Microsoft PowerPoint and Microsoft Word, as well as a commanding view of your world in Microsoft Outlook, you’ll stay productive and connected with familiar and intuitive tools. Rac Technologie, deals in the entire range of licensed Software Products from Adobe, Corel, Microsoft, Redhat, sco, Novell, Symantec, Oracle etc. Our Office is centrally located with modern communication infrastructure to provide prompt services to the customers. Rac technologiehas well qualified and skilled team of professionals devoted towards taking the company to new hights of success by delivering innovative, creative and cost effective solutions to the valued customers. Our Strength is the true commitment towards our valued customers which includes: Govt. Sector, Corporate Sector and Educational Sector.